According to Ibn Ezra and Radak, David composed this Psalm while suffering from a serious illness, and it expresses his feelings and reflections during this difficult period. In the opening verses (2-4), David extols the virtue of Bikur Holim, visiting and assisting those who are ill. People involved in this holy task are rewarded with divine protection as well as assistance when they themselves take ill. This tribute to those who visit the sick is intended as a contrast to the response of David's foes – and even his comrades – to his illness (verses 6-10). They react gleefully to his suffering and eagerly anticipate his death. 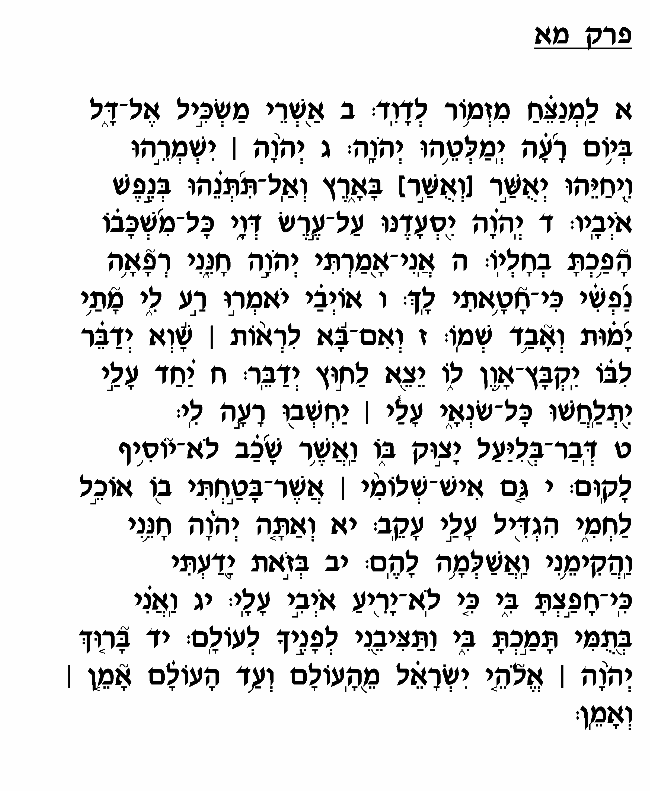 In verse 10, David bemoans the fact that even "Ochelei Lahmi," those whom he has treated generously (perhaps referring even to his own family), have betrayed him and anxiously await his demise. Left alone to wallow in his suffering, David nevertheless places his trust in God and looks forward to his recovery and his foes' bitter disappointment over his resurgence. David's sense of abandonment leads him to a greater appreciation of the Misva of Bikur Holim, of the value of lending assistance to those in need. Having himself experienced the lonely feeling of betrayal during his period of illness, David expresses his admiration for those who tend to the needs of the sick and underprivileged, and promises them immense reward for their sensitivity and selfless devotion.